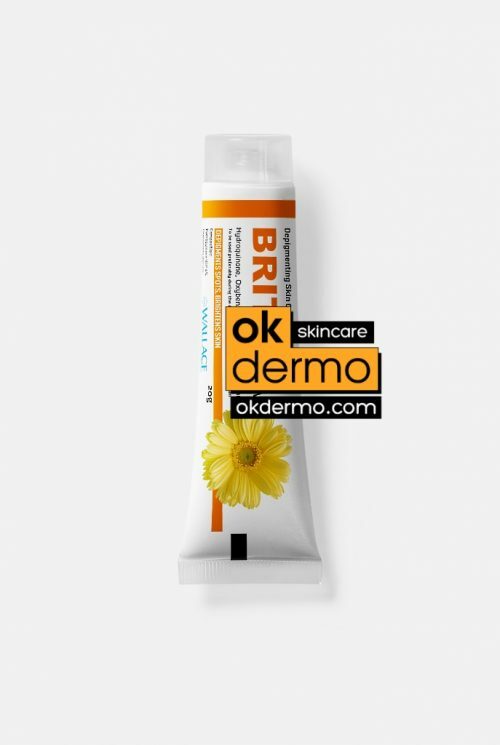 Strong anti-pigmentation skin lightening agent Eukroma with 4 percent hydroquinone component – is a skin lightener designed to help reduce skin pigmentation due to the overproduction of the so-called pigment melanin, but it is also effective in a variety of other skin disorders. Whether you experience severe symptoms of liver or age spots, freckles, dark underarm and bikini spots, or even dark acne scars, you may be assured that Eukrome 4 hydroquinone strong skin lightening cream will remove easily any forms of skin color disorder. The cream may also be used to treat discoloration on darker skin surfaces that may very well be caused by either prolonged exposure to the sun, contraceptive hormones or pregnancy, melasma/chloasma. 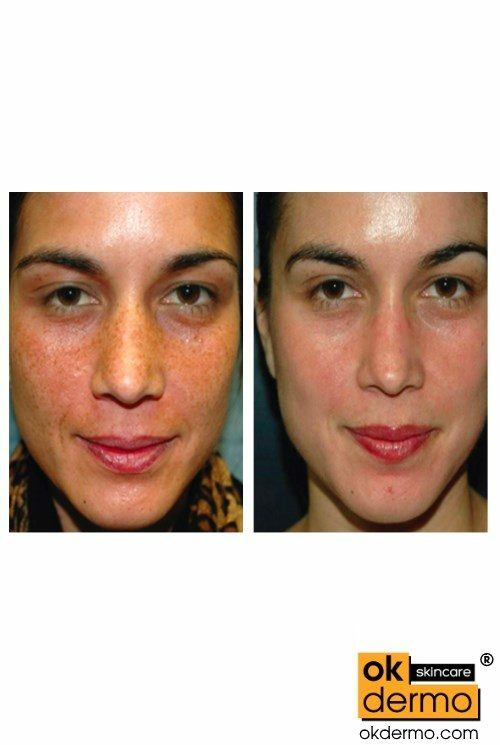 Anti-pigmentation skin lightening agent Eukroma 20g with 4 Hydroquinone component – is a skin lightener designed to help reduce skin pigmentation due to the overproduction of the so-called pigment melanin, but it is also effective in a variety of other skin disorders or conditions. Whether you experience severe symptoms of liver or age spots, freckles, dark underarm and bikini spots, or even dark acne scars, you may rest assured that Eukrome 4 Hydroquinone strong depigmenting and skin lightening cream will remove easily any forms of skin color disorder. The cream may also be used to treat discoloration on darker skin surfaces that may very well be caused by either prolonged exposure to the sun, contraceptive hormones or pregnancy, melasma/chloasma. Second, it increases melanosome breakdown (melanosome contains the melanin). The less melanin is present, the more the darker skin begins to match the normal skin color of the user. Test a small amount of your Eukroma cream for sensitivity before use. If there is no reaction within 24 hours, continue the application. Clean and dry the skin before applying a thin layer of cream twice daily to the area in need of bleaching. Rub into the skin well. Apply this cream to the affected area only. Do not apply near the eyes, mouth and other mucous membranes. 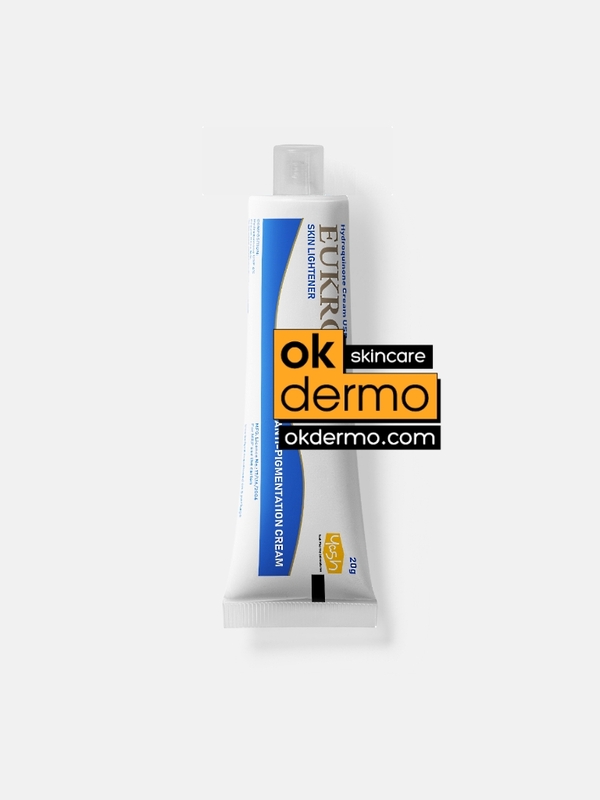 Do not use any peroxide after the application of Eukroma Cream. Store your Eukroma below 25°C in a cool dry place. 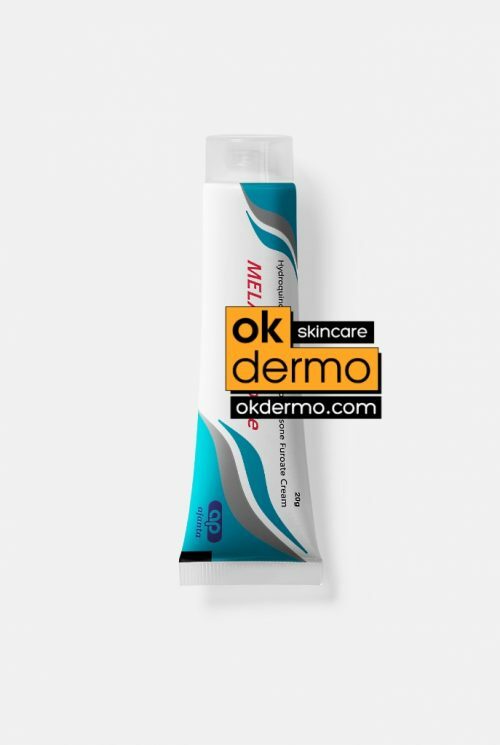 Eukroma HYDROQUINONE 4% Cream should be applied strictly only to affected areas and rubbed in well twice a day, in the morning and just before bedtime, or as directed by your dermatologist. If no improvement is seen after 2 months of usage, stop using the Eukroma 4% hydroquinone cream, that’s mean that this component is indifferent to your skin. If you do not experience any skin bleaching effect after a period of 3 months, Eukroma 4% Hydroquinone shouldn’t be used any more. Once your skin has become lighter you can continue using the cream as recommended by your dermatologist, but not recommended using it longer than 3-4 months in a row. Way better mixing 3 months Eukroma 4% Hydroquinone cream applications and Azelaic Acid 20% cream 3 months applications for skin restoration). 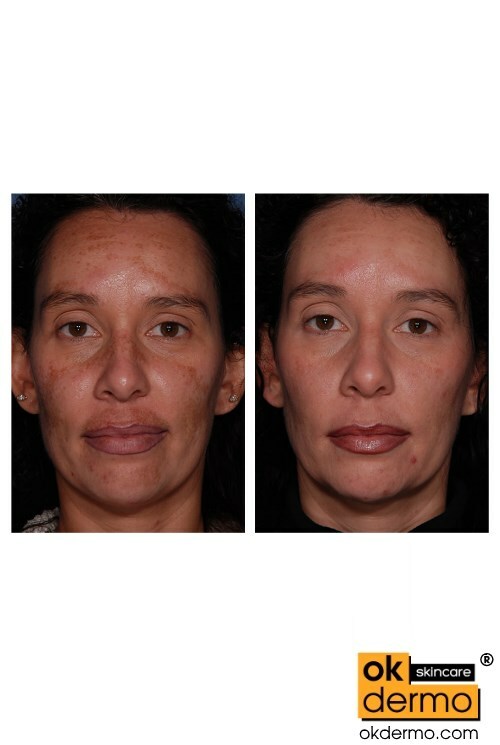 You can see Eukroma 4% hydroquinone cream before and after pictures to determine how effective Eukroma Hydroquinone 4 Cream is in treating hyperpigmentation and skin discoloration issues. 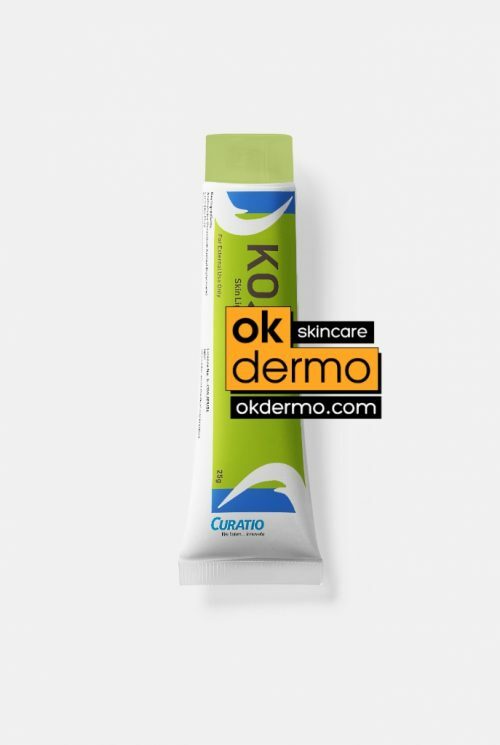 I also ordered some Kojic acid and Arbutin creams from okdermo, all were delivered promptly within 2 weeks to UK, thank you for the great service as always! This one has much creamy base then other “creams”. After a month of using it I didn’t notice any changes on my facial complexion. First week of second month when I started noticing that my face becomes lighter and brighter, it also cleared my blemishes and lightened some of my pimple scars. It became firm, and the pores became smaller. After continued use (now on my 2nd bottle) it kept my face getting more lighter, i always apply sunblock on my face. This is the only effective whitening product ive ever tried. It is also a very effective anti-aging. I ‘d say i can give it more than 5 stars. Better not to expose your skin to the sun, it is the best recommendation I’ve ever received. I have bad liver spots on my face, after trying so many different whitening products with not much change, I am almost given up on trying anymore but after using Eukroma, I can see a big improvement on my skin, the spots are fading away after about 8 weeks, now I am still using this product, highly recommend to other users. 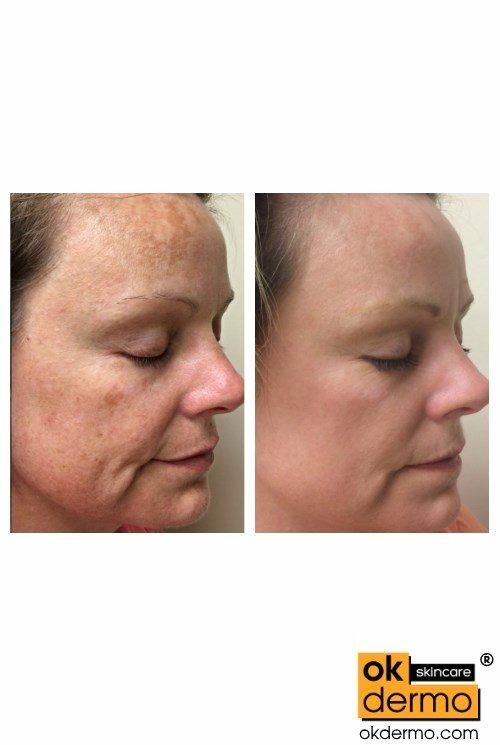 Eukroma workin perfect for me, I have been using Eukroma for about 6 months, all of my freckles and age spots have faded away, almost gone forever. I have fair skin and a skightly dark complexion, my skin is now clear and beautiful. I am thankful okdermo! Will definitely buy again, it worth it! This is a great product. It’s hard to find good quality hydroquinone 4% products anymore. 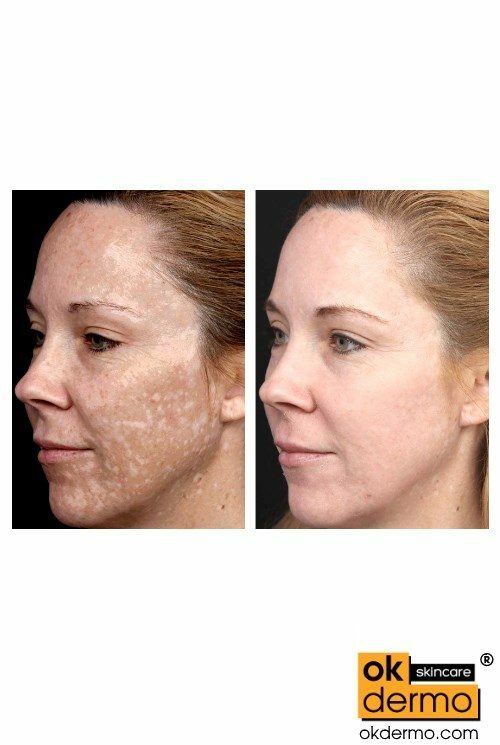 It’s the only thing that truly gets rid of brown spots. Okdermo thanks! Other skin lightening products I have used have helped with my sun spots but did nothing for my melasma. This one the only removed practically almost it! I’ve been using this product for about a week & half and already my brown spots on my hands are starting to fade. Might need a second tube but well worth it. If you’re struggling with getting rid of your hyper-pigmentation, I’d definitely suggest this product! 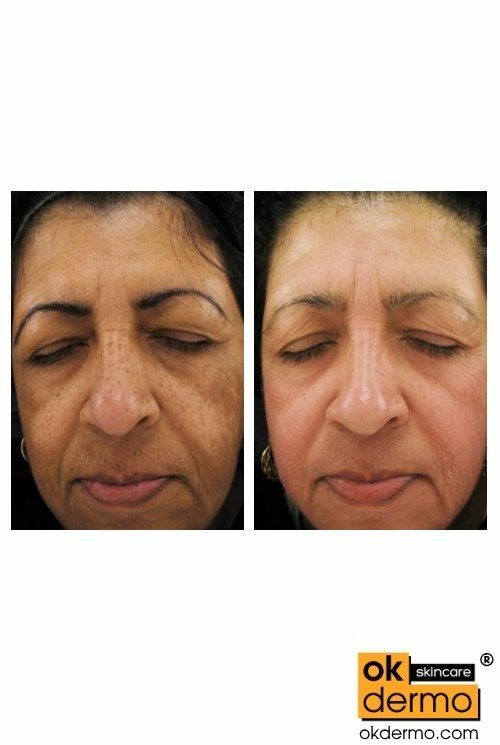 I have face melasma due to pregnancy and sun exposure and I tried numerous products to treat it. Eukroma works the best. I did not expect instant skin transformation when I started using it. I realize that it takes some time, especially if your skin has suffered severe discoloration. I am diligent at applying Eukroma daily and also using face sun screen to prevent further sun damage. Eukroma works! After a few weeks most of the discoloration on my upper lip and forehead was gone. The cream does not irritate my skin and I will keep using it. I was pleased with how quickly I was able to see results (within a week). I gave it 4 stars because I wish there were more product for the price. I’m tempted to re-purchase, but may shop around for a better ratio of product vs. price. I do like it though. Love love love! Searched the web for something to rid me off hyper pigmentation on my knees. It works very well! I am very impressed and pleased with this product. I can see a significant decrease in the melasma on 75% of my face, which developed after I had a baby 7 years ago. It absorbs quickly and does not leave a greasy film. Not very much is needed at one time and the odor of it goes away soon after applying.